Deck Solutions uses TimberTech and Trex products for our deck drainage systems in St. Charles which are the best on the market. 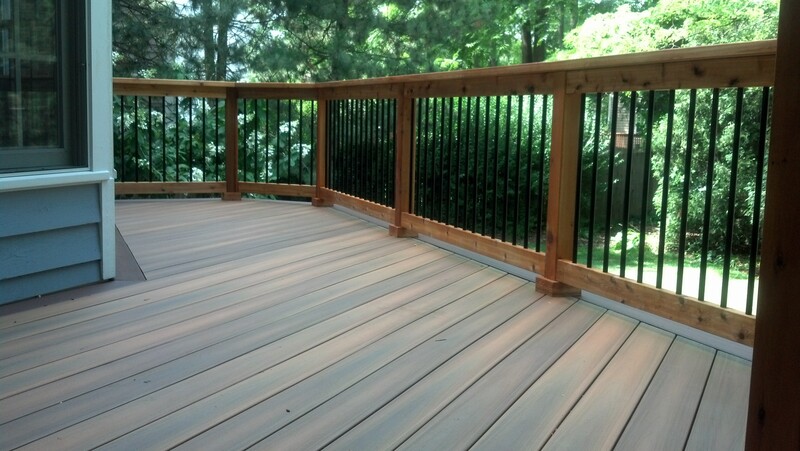 Our deck drainage systems in St. Charles will help collect and channel moisture from the spaces between the planks of your deck. Deck solutions would like you to be informed of these great products and what they can do for your deck. If for any reason you have any questions or comments about our deck drainage systems in St. Charles, feel free to give us a call at 630-513-9411 or fill out the form to the right. TimberTech’s dryspace under deck drainage systems in St. Charles attaches easily to a new or existing deck joist and effectively turns lower level patios into a more eye appealing scene and extra storage space by creating a usable dry space under the deck. These deck drainage systems in St. Charles have an off white color that lightens and brightens the area underneath your deck giving it a finished look. TimberTech’s deck drainage systems in St. Charles are made of solid extruded vinyl for maximum strength, weather resistance and durability. Trex RainEscape deck drainage systems in St. Charles has a series of troughs and gutters that keeps rain, snow melt and spills from dripping through your deck boards. These deck drainage systems in St. Charles can be installed on existing decks by removing the flooring before installation. Once Trex deck drainage systems in St. Charles are installed utilities can be added and covered with a ceiling or soffit of your choice. If for any reason you have any questions or comments about our deck drainage systems in St. Charles, feel free to give us a call at 630-513-9411 or fill out the form to the right.